Michelin awarded 137 top gourmet restaurants with stars (11 new) in the 2015 Michelin België / Belgique / Luxembourg Hotels and Restaurants red guide. Belgium now has 3 Michelin three-star restaurants, 17 with two stars and 107 with one Michelin star. Luxembourg has a remarkable 10 Michelin one-star restaurants. Bib Gourmand restaurants increased by 34 to 159 – 10 of these in Luxembourg. Michelin awarded 137 gourmet restaurants with stars in the 2015 Hotels and Restaurants red guide for Belgium and Luxembourg. The awards confirm the exceptional high quality of fine dining in France’s northern neighbors. The 17 Michelin two-star restaurants in Belgium also remained unchanged from 2014. Four of the two-star restaurants are in Brussels, three in Wallonia and ten in Flanders. All eleven new stars awarded by Michelin in the 2015 Red Guide were for new one-star restaurants – 10 in Belgium and one in Luxembourg. However, two restaurants in Luxembourg lost their stars from the previous guide and a similar fate befell four restaurants in Belgium. 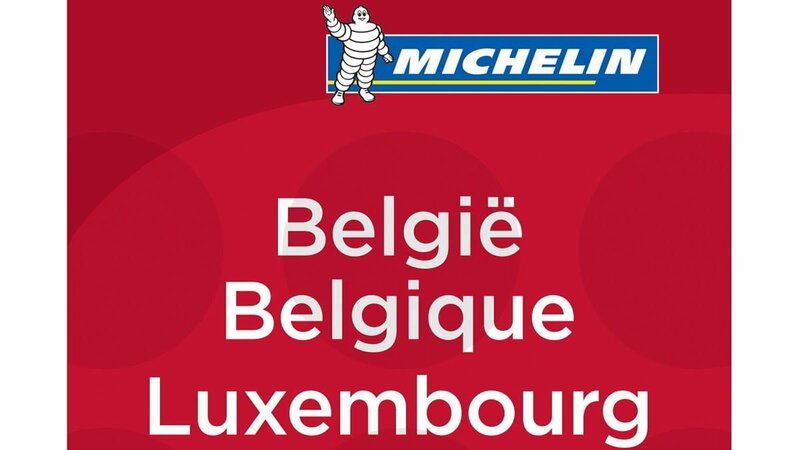 Belgium therefore has 107 Michelin one-star restaurants in Luxembourg 10 one-star restaurants in the 2015 Red Guide. The new one-star restaurants are Da Mimmo, Le Monde est Petit and Le Pigeoun Noir in the Brussels region, The Jane in Antwerp, Publiek in Gent, d’Oude Pastorie in Gent-Lochristi, Philippe Meyers in Braine-l’Alleud, Aux petits oignons in Jodoigne, Héliport Brasserie in Liège, Les Pieds dans le Plat in Marenne and La Cristallerie in Luxembourg. Michelin also awarded 159 Bib Gourmands (34 new) to restaurants serving an excellent three-course meal for less than €37. Ten of these are in Luxembourg. The 2015 Michelin Belgium and Luxembourg red guide describes 1742 establishments including 667 hotels and 1075 restaurants. 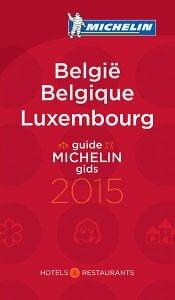 The 2015 Michelin Belgium and Luxembourg Hotel and Restaurants red guide (ISBN-10: 2067197088 or ISBN-13: 978-2067197084) is on sale for around €22 in Belgium and Luxembourg. It is also available from Amazon Deutschland for €26 but should be significantly cheaper once available from Amazon France , Amazon UK and Amazon US .